John MacDougall founded Ardbeg distillery in 1815, on a favoured landing spot for smugglers and illicit distillers through out the 18th century..
Michael Jackson describes it as cookie-like! Certainly a sweet, easy-going Speysider although there are heavily peated exceptions. ..
Benromach celebrated their centenary in 1998 by being officially reopened by Prince Charles. .. It is not unknown for the Irish to distil whisky in Scotland. It is widely accepted that the practice of distilling whisky was brought to Scotland across the Irish Sea. 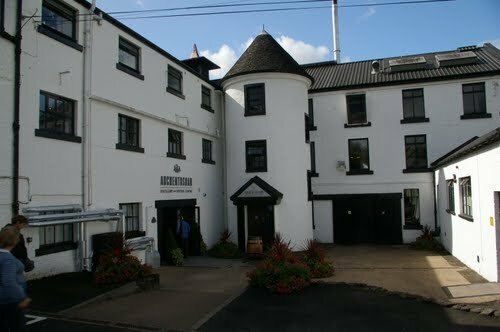 ..
Brora is the original distillery in the town of the same name and used to be called Clynelish,.. Pronounced "brook-laddie," Bruichladdich sits close to Port Charlotte on Islay. ..
Cardhu, which means 'black rock', is situated at Knockando on the Craigellachie to Grantown road, very much in the heart of Speyside. ..